The GESIPA® MEGA GRIP® blind rivet is a high-strength structural blind rivet with an extra-large clamping area. The variable clamping area allows it to be used sparingly, and also reduces handling costs because it can merge up to five blind rivet lengths in one MEGA GRIP® size. Available in both large and small packages, the MEGA GRIP® rivets are available at any time in the quantity your require. We are also happy to offer special rivet sizes on request. The blind rivet is perfectly splash-proof. 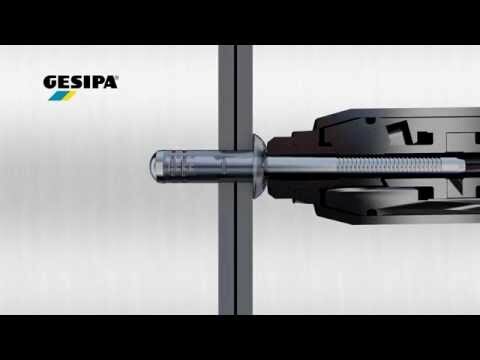 To achieve the best possible results with the GESIPA® MEGA GRIP®, please note that the use of special riveting tools and nosepieces is required.